“Hagiography” according to Wordnet, at Princeton University means “a biography that idealizes or idolizes the person (especially a person who is a saint)”. Now that you know this, try reading here this Scientific American article written by David Appell about Michael Mann, creator of the Hockey Stick. Michael Mann knows his students and his subject. The topic of the graduate seminar: El Nino and radiative forcing. The beer he will be serving: Corona, “because I’m going to be talking about tropical climate.” Not surprisingly, attendance is high. In each case, the outcome was clear: global mean temperature began to rise dramatically in the early 20th century. That rise coincided with the unprecedented release of carbon dioxide and other heat-trapping gases into the earth’s atmosphere, leading to the conclusion that industrial activity was boosting the world’s mean temperature. Other researchers subsequently confirmed the plot. Oh yeah? We must have missed those. Not one of those “confirmations” for example, put the lowest temperatures in the mid 19th Century and all showed much greater natural variation than MBH. Most put the lowest temperatures two centuries earlier, in the 17th Century. A community skeptical of human-induced warming argued that Mann’s data points were too sparse to constitute a true picture, or that his raw data were numerically suspicious, or that they could not reproduce his results with the data he had used. Take down Mann, it seemed, and the rest of the IPCC’s conclusions about anthropogenic climate change would follow. That led to “unjustified attack after unjustified attack,” complains climatologist Gavin A. Schmidt of the NASA Goddard Institute for Space Studies. Although questions in the field abound about how, for example, tree-ring data are compiled, many of those attacking Mann’s work, Schmidt claims, have had a priori opinions that the work must be wrong. More recently, Mann battled back in a 2004 corrigendum in the journal Nature, in which he clarified the presentation of his data. He has also shown how errors on the part of his attackers led to their specific results. Really? The Corrigendum was forced on Mann because a materials complaint had been made about his data and stated methodology. The last time I checked, publishing a Corrigendum is usually seen as embarrassing by the authors. Has he shown errors by his “attackers” (another loaded phrase to imply a personalized vendetta)? Not so far. Get that? The MWP and LIA were not global phenomena, but regional. Funny how they appeared at almost exactly the same time in so many places. Oh, if only that were true. Climateaudit.org is run on a shoestring (one of Steve’s shoes). Where are these slushfunds when you really need them? Started in December 2004, the site has nine active scientists, who have attracted the attention of the blog cognoscenti for their writings…. Which I totally agree with as you long as you don’t ask those scientists impertinent questions like, where is your source code and how did you reconstruct the entire world climate in the early 15th Century from just one tree? I recommend the full article as a classic. But you may need some Tagamet(tm) or Mylanta(tm), just in case. This entry was written by John A, posted on Feb 22, 2005 at 2:25 PM, filed under News and Commentary. Bookmark the permalink. Follow any comments here with the RSS feed for this post. Both comments and trackbacks are currently closed. It’s a bad news that Scientific American is able to publish this kind of propaganda in order to support this not very good scientist and his very bad paper. The text has many features of the propagandistic articles from the totalitarian societies – it neglects the important but inconvenient developments in the last couple of years; it attacks the “other side” by connecting it with other things that are supposed to be viewed as negative (oil industry) although these things have obviously nothing to do with the issue; it tries to picture the “hero” as a positive person by all measures, including the personal ones, that have also nothing to do with the topic. Pretty bad. I picked up the SciAm issue earlier this week and – after reading the article – threw the issue away. I’ve bought my last SciAm mag. Their standards have been degrading for years. John writes: Funnily enough, you’re not the only person who has mentioned that Sci-Am has gone downhill in recent years (and not necessarily just in the context of climate science). I wonder what changed? This SciAm article glosses over his work in such a way that the glare detracts from the facts. It seems that SciAm has, indeed, started to write in a more sensationalist manner to attract readership. Mann is promoting his own “disinformation campaign” by failing to come forward with his data and modeling information. He refers to the continual requests for such information as “intimidation tactics” in a FoxNews.com article. (http://www.foxnews.com/story/0,2933,147995,00.html) It would appear that he’s scared to get too much of his own information along with others’ information out there lest he be proven grossly erroneous in his methodology. Assuming the “other side” were to be funded by the oil industry, his work on this was funded by the NSF and NOAA. Our tax payers contributed to his work, so I would like to think any of us have a right to see the data and source code for this work. If he’s swamped by requests, perhaps he ought to just post it online somewhere and let the scientific community debate it openly. I have never seen a scientist so reluctant to share information. I recently saw a global warming piece on the PBS program “Scientific American Fronteers” The story line showed how melting in the artic could change the rate of flow of the gulf stream. While the researchers kept it rather straight, there was an implied message that anthropogenic activities are the primary cause of warming. Everyone seems to forget what was taught in Geology 102. We are in an interglacial period and the planet has been warming for the last 10,000 years. And I appreciate that process. SciAM has been going down hill for years. Very sad. A shame to squander institutional crediblity that took generations to build up. That SciAm article would be funny if it wasn’t so frightening. German filmmaker and Goebbels’ protege Fritz Kippler, said that two things were necessary to make a Big Lie believable: (1) reduce an issue to a simple black-and-white choice that “even the most feebleminded could understand” and, (2)repeat the oversimplification over and over. This seems to be the tactic employed by Mann and his disciple Appell, ie. (1) the issue is simple: “whether society prefers economic growth or the environment”, and if you disagree with him: “from an intellectual point of view, these contrarians are pathetic” (read feebleminded); and, (2) something that failed to impress a Nature reviewer but seems to go down well with Global Warming True Believers: “shout louder and longer”! SO, people here aren’t repeating, ad infinitum, that MBH isn’t to be trusted then? Of course they do (indeed often worse is implied – by you for example)! It’s pretty sad. And that here it isn’t a simple arguement then? Viz, you can’t trust Michaael Mann, and that his work need auditing, that he wont allow his data so to be done and that since MBH is ‘wrong’ the IPCC is one big conspiracy? Why do *you* accept such simple arguements? Why not read (as I am doing actually since I’m not one of the true faithful of this place) other people views, Mann’s even? Surely you could do that to get both views? John writes: I do read other people’s views, but unlike you, I don’t feel compelled to accept them. I have read Michael Mann’s views, but I do not accept that his answers can be backed up with scientific evidence (and I’m not the only person to think this). His work needs auditing because huge amounts of money are being spent partly on whether Mann did his work correctly or not – and on that point the profile by Appell says nothing at all even though they are crucial questions. Do you want answers from Mann or do you simply want to carp about people’s identities on weblogs? Peter. I am not afraid to leave my name and I have read “both sides” of the discussion. In this age of “credentialism” instead of true education and knowledge I don’t give a hoot whether someone is a “trained cliamatologist” or a “trained monkey”. All that means is that they memorized some stuff long enough to pass some tests. I look at the facts. Anthropogenic Global Warming is a scientific theory, not a scientific law. It is the responsibility of all true scientists to gather data, analyse it and publish their result. IF they publish all of the data and formulas for independant analysis it is SCIENCE. If full disclosure is not made then it is OPINION. Reproducable results will confirm or refute the appropriate theory. Personal opinions are irrelevant. Please continue to post your opinions to this forum. It is a convenient and humourous reminder to the rest of us that Mann’s theories are backed by opinions that border on religions fanaticism rather than hard science. What do you think of David Appell’s commentary in Scientific American? Have you read it? Do you believ it is an accurate representation of the debate about Northern Hemisphere temperature trends over the last 1,000 years? Why is “Peter Hearnden” a better alias than “Dub” or “Jeff Norman”? Peter, you’re at it again. Did you hear St Michael this morning? When asked did he disclose the “maths” he used, he said he disclosed the algorithm. Is that sneaky or what? I find your constant carping about peoples identities and backgrounds amusing. It is typical of the alarmist side – poison the well, impugn a persons character, question his “motivation” – in short, keep the substance of his argument from seeing the light of day. The point of the posts about the SciAm article should be obvious – the article seeks to glorify Mann the person, not his science. I don’t know if you know that, and are trying to get a rise out of people by turning the argument around, or you simply can’t grasp the irony of doing that? Well, apart from those simple rules, there’s nothing to stop Glen McGrath sending down a “googly”, or Murali a fast ball (hell, he can even “chuck” occassionally if he feels like it!). For those who don’t know anything about cricket, some bowlers bowl slowly, imparting spin to the ball, and some hurl it at close to 100mph. A cricket ball is much harder than a baseball, and can do some serious damage – even cause death – if it strikes a batsman at speed. A fast bowler can deliberately target a batsmen if he feels like it, and many do. In short, it doesn’t really matter what arm someone uses to deliver the ball, or who he is – as long as you play by some simple rules, it’s the quality of the delivery that counts. If Mann is a saint or a sinner, a climate scientist or an economist, it shouldn’t matter. If his climate reconstruction is right then it’s right, and if it’s wrong, him being a really great guy won’t make it right. My surname, occupation and other personal details are none of your business, and I don’t care about yours either. Peter, I can tell you why some people might not want everyone to know their name, latitude and longitude. There are some that believe so passionately in their cause that they will infiltrate polite rational debate and attempt to hijack it with irrelevant monologues about oil interests. I had the benefit to be at a meeting reported here: http://la.indymedia.org/print.php?id=119909 which opened my eyes as to what is going on. This was not violent but it was intimidating and it is only a short step from what we have seen going on in other “green” areas. I grew up pitching fastballs. All I can say about cricket is that attempting to bowl without proper coaching is a good way to dislocate your shoulder. yes, you’re probably right! It’s a funny game, cricket, but we seem to have got off the subject, which is another game, called Hockey. I think that might have been Peter’s intention all along. Ok, some commments. My name IS Peter Hearnden, I ‘carp’ about the anonymous becuase you provide me with a free hit! It is absurd and hypocritcal that people are calling for more openess from someone from a position of utter secrecy about their own identity. No, I’m not a religious nut (but I guess the idea is that if you throw enough mud some will stick?). I’m not an absolutist either – I think we might only see modest warming in future or it might be substaintially more. No, I haven’t read the SciAm article. But, yes, I think the available reconstruction*s* give us a good idea of the past. I think it’s very likely it’s as warm now as it has been for 2000 years (at least). You claim “My name IS Peter Hearnden”. Can you prove this? If you could, how would it help with this discussion? Why does it matter? The only reason there are names on these posts is to differentiate between the posters. I can reply to Dub about Cricket and I can stop replying to your need to prove the unnecessary. you just don’t get it do you? And what’s more, I don’t think that you are capable of getting it, so this’ll be my last reply to you. You wrote: “It is absurd and hypocritcal that people are calling for more openess from someone from a position of utter secrecy about their own identity”. Nobody is asking Mann to reveal his hobbies, or whether he’s a cross-dresser, or anything else. Whether he truly believes in catastrophic man-made global warming or not is his business too, because it’s opinion, not fact. However, very costly government policies are being formulated based, at least in part, on his study. I’m not backing away from my original comment on the SciAm article. The article was pathetic, and I’m not the only one to have picked up on its propagandist style. Mann brought dishonour on himself be calling Steve and other “contrarians” intellectually pathetic – that was childish. Have a good life Peter (or whatever your real name is), but please, stop wasting bandwidth – you’re not keeping anyone on their toes, you’re just trying to get people off the topic, that’s all. Mann and the others at RealClimate are not scientists at all. They are priests of a mystery cult. All professions, said George Bernard Shaw, are conspiracies against the lay public. Unions of all types seek to exclude outsiders through regulation, statutes, and customs. So called climate scientists are closing ranks against any form of scrutiny that might endanger their source of power and treasure – global warming hysteria. The sad part is that there may actually be some anthropogenic global warming and it may be important to our future. The arrogant and elitist behavior of the climate scientists has fouled the air. No sensible person can now be expected to accept reports of global warming without extreme scepticism. People will ask, “If global warming is real and important, why the deceit”? I read somewhere recently that “Scientific American” had been bought by a German publisher a few years back. The new owners moved it away from “Science” and towards “The Discovery Magazine”. They also adopted a consistent left leaning political agenda. Recently of course they have campaigned strongly against Lomborg. In their current special issue on early civilizations every article reeks of “political correctness”. People should question any study which might dramatically change their futures. If the alarmists would have their way, the effects on much of the world would be economically significant and almost certainly negative. If this would come to pass, the people who would be on top looking down at the rest of us are these very same climate change alarmists. They have already been made into celebrities. What I continue to be surprised by is the fact that the alarmists paint all who question their vision as being tainted by money, as if they are free of any monetary concerns themselves. So SciAm continues its decline. I stopped subscribing about 2 or three years ago and the entire disgraceful Lomborg episode was depressing confirmation of how far a fine and honourable publication had fallen. I used to read Scientific American back in the sixties. I remember it fondly. I picked up a copy of Sci-Am the other day and there is pretty much no comparison to what it used to be — it is only a little better than People magazine today. SciAm is the yellow rag of “science”. I, too, remember when it presented science in the fashion of “here’s the hypothesis, the data, the counter evidence”. They don’t bother with that any longer. Even Discover, a few years back, was more evenhanded despite the fact that it was geared towards science for the layperson — a niche that is still empty. Both periodicals have declined into the National Inquirer genre. I’ve cancelled my subscriptions to both. Alarmists + Misanthropes = Bad Science. I too have dropped my subscription to “Scientific American”. They should change their name to “Unscientific Anti-American”. I had an itinerant mentor from a research lab in the late 1980s. An interesting maverick and fundamentalist (physics), he had 300+ technical patents (50s missile defense related, reactors, ozone, one-of-a-kind solutions…), had made the cover of Time, and was on the NAS. He never stopped carping about Sci Am’s perpetual propaganda and lack of fundamentals plus peer review. Guess we all see why now. It is sad that Mann is such a snob and you guys are such a bunch of “true believers”. I have been reading both sides of this controversy for several hours now and the thing that sticks out in my mind is McIntyre’s and McKitrick’s lack of climate credentials of any kind. Or math credentials. Or any kind of credentials. Sorta reminds me of Pons and Fleischman(sp). In this pdf file, he claims to gives a list of links that include all the data that he used to create the hockey stick report. He refuses to give Barton the source code for his program which he claims is his intellectual property. Apparently the NSF and Nature also agree on that point. However, he does give the algorithm he used so any programmer could produce code that does exactly the same thing since the algorithm is important, not the code. As a professional programmer I know there is more than one correct way to program any algorithm. If you program his algorithm and it does not produce his results using his data then you make (and log) changes to your code until it DOES reproduce his data then you reverse engineer the resultant code to get the real algorithm used. At that point you have a real argument. You don’t need his exact code. My question is: Why weren’t McIntyre and McKitrick summoned (requested in their case since they are canadian) to appear before the committee? Possibly because of some agenda Barton has? I think so. And I think that Barton did not want the minority members of his committee to question them. Could be embarrassing. McIntyre has pretty good mathematical abilities. (and training). (and a mind). And the time to dig into the subject. The credentials are not really the issue. I’m sure that there are some not-so-numerate climatologists that Steve could run math circles around. WRT algorithm. Agreed. and that is a lot of what Steve has done. In several places, he’s shown that the as-stated algorithm was inadequate and forced Mann to clarify and reveal more of the real algorithm. George, you spent several hours reading the debate, did you actually read M&M’s paper? All you came up with was that 1) they have not credentials (an ad-hominem, actually) and 2) there is a conspiracy to keep M&M out of the senate debate because they’ll be embarrased (unfounded supposition at best). That M&M don’t have credentials that you like is irrelevant to the discussion. You should make an attempt to discredit [i]their work[/i] if you can. If their work is flawed, then maybe you’ll have a leg to stand on. FYI, McIntyre is a mathemetician and McKitrick is an economist [i]specializing in environmental economics[/i]. Your statement they have no background in math or have any other credentials is patently false. I also see that you refer to the “anti-science McCarthyite Barton.” Another ad-hom, btw. Oh, not only the algorithm should be supplied, but the code as well. This is particularly true of research that influences public/governmental policy (and perhaps funded by public money). It should not be put upon peer reviewers to “reverse engineer” his work. This is simply a matter of integrity. McIntyre could teach any number of upper division or graduate level courses in Math, Stats or even Geophysics. His content would fit right into such course work. I have just received obnoxious e-mails from David Appell who did not like that I estimated the Kyoto’s reduction of temperature by 2050 to be 0.07 degrees. It’s not just my estimate (plus minus half an order of magnitude) but also the official number of IPCC. When he – apparently completely ignorant about any of these estimates – saw that the figure is obviously generally accepted by both “sides”, he started to blame me for accepting the official numbers when it’s convenient (probably for the oil industry) even though I gave him my own calculation of the same number. I just can’t stand bigots like Appell. He will attack you not only if you give him a valid argument that has different conclusions than his beliefs, but he will also attack you if you give him a number from his own Bible as long as this number shows the rest of the Bible in a bad light. People like Appell are appalling. 0.07 C is an upper limit for the effect of Kyoto assuming that the US participates and that the IPCC climate sensitivity of 3 C for doubling CO2 is true. Take out the US, and it becomes 0.02 C. Use the climate sensitivity of Lindzen (0.5/doubling), Vezier and Shaviv (1-1.5/doubling), Erren (0.9/doubling), Idso (0.4/doubling), and many others and you get less than 0.01 C cooling from Kyoto. So 0.07 C is actually an optimistic estimate. Actually now that I think about it more, 0.07 C corresponds to a theoretical form of Kyoto whereby every country including China and India participates. So it is really a big overestimate of what is really happening. He argues that this number comes from the IPCC, yet fails to agree with the IPCC when it’s not convenient for him. I suspect that Scientific American presents topics and editorial content that sells magazines to a targeted audience and all the clamoring here is simply another way of saying that most of us are not part of that audience. I realized that was the situation in my case many years ago. David Appell’s defense of Mann was surely meant to appeal to the majority of that targeted audience and certainly not intended to even reference the criticism of Mann’s work and counter replies from Mann and company. It is his way of showing his readers his view of Mann’s critics, the working environment that presents for Mann and really nothing else. It is as predictable as partisan radio show hosts defending their favorite politician or political party. It can be fun in a sort of gossipy way, but it is more fun and exciting for me when the discussion remains pinned directly to what the science is revealing about the question at hand, the correctness of that revealing process and how sure we are of the published conclusions. #1 I could not understand why the oil industry and the energy industry general is the primary suspect of funding skeptics. The oil industry really loves the Kyoto Protocol. Look at all the ads today from the oil industry. The climate change debate and peak oil are large advertisement opportunities for the oil industry. Strategically it allows them to diversify into nuclear energy and hydrogen fuel production. I think it is time to look at the issue at its merits or face values. Some of these posts jive w/my own experience of yrs ago — the same story of the decline of the weekly magazine Science News. The only articles remaining in it that aren’t politised & PCed are noncontroversial, like astronomy, cosmology, particles physics, etc. coming up with an alternative explanation for the mountains of physical evidence. open now, how is that possible if it wasn’t warmer during those periods than today? were happening because of changes to the climate, if that wasn’t the case? do they have an alternative theory as to why and how they happened? up the present warming – don’t they still have to answer this question? The Mann Group (named on his Penn State web site) seems to define “global” and “local” based not on the locations. but rather on the story that they are trying to support. haven’t we seen similar local climate variations during the last 150 years. Nobody denies that the European viniculture 800 years ago extended to East Prussia and southern Norway, requiring an average temperature 1.5 C higher than today; this presumably sustained for 100 years minimum. Mann would presumably argue a similarly sustained cooling elsewhere to compensate. If local random variation can produce a warming of this degree over an area the size of europe over 100 or probably 200 years how much variation can we expect over a 30 year period? 2 C. Maybe even 3 C. Over a 10 year period maybe even 5 C.
Perhaps Mann can show where these extreme”natural” variations have occurred in the last 150 years. We have good temperature data from the mid 19th century onwards and don’t have to rely on proxies! Given the hysteria that ensued during summer 2006 when average temperatures over parts of NW Europe were 2-3 C above average I think we can safely assume this doesn’t happen too often. Or maybe it happens all the time. Maybe Quebec warmed and aquired a New England climate while New England cooled and became like Quebec. I have shown that with dating error and measurement error, dates of peak temperatures (MWP) at different locations will in fact rarely line up nicely. Thus failure to align within a few hundred years does not discount the MWP. Dating error, isn’t that when you go out with the wrong person? In the early 1980s I was part of a group trying to understand the motivation of the emergent radical and sometimes harmful greens who were spiking trees, chaining themselves to construction sites and making up incredible scare stores about radioactive fish that glow in the dark – you know the set that I mean. We took every easily-available green world publication with a list of members and tried to find the geographical focus of discontent. The main identifiable centre was western and southern Germany, though it was fairly diffuse and we were hestitant to draw conclusions. (California scored a bit of focus, but they were on the rebound from the 60s when LSD was nice). Some heavy funding was coming from some unexpected Foundations and Benefactors who shall remain nameless because I have forgotten who they were but remembered that I was surprised at why they were spending. With hesitation, I felt that the discontent was a product of savage recent war. We also discussed whether the materials of war were targeted. Think about the strength of anti-uranium after the 2 Japanese bombs. Think about lead poising, lead being used in bullets. Anti-whaling, as the whales were shot by harpoon guns. About oil crises, fuel for warplanes, napalm. A whole splinter group campaigned against anything with chlorine in it, like DDT and dioxin – what gas was used in the trenches? Then came the anti-synthetic chemical phase which has led to the current PC organic farming fad, as though war chemically contaminates everything pure and natural. One further spin-off is anti immunisation, since it is not “natural” and people were terminated by lethal injection. Fluoridation of drinking water was equated by some to gas chambers mandated by compulsory State action. But heck, it’s just a theory and it lacks proof. (And modelling). It is possible that these extreme reactions against mainstream society were not created by choice. Who knows the true trauma of the after-effects of war? Does the human genome start to change in response to savage consequences of war? Is the anti-science stance an evolutionary product, carried in the genes and growing stronger generationally? Publishers of magazines are forever doing market reasearch so they can appeal to a public that thrives on fads. Sci-Am was taken over by a group from this (postulated) region of discontent if #21 above is correct and began writing incredibly green papers. It might have started this course before then. We oldies know that incredibly green policy equates with incredibly bad science. Can anyone volunteer a top quality scientific article that espoused green ideals (and offers its source code and reviewers’ comments)? “Hagiography” opened this thread. I’m more alarmed by autohagiography (as in autobiography versus biography). Sometimes I feel that articles about people have descriptions of the authors written by the authors. Sometimes I feel that authors are the peers who review their own papers. One way to clear the air is to openly disclose your name and experience, like I have done on CA. I have not had a single word of abuse since I explained who I was and where I came from. Maybe it could be good to have a section of CA where readers can look up readable c.v. material for frequent writers. I would not be surprised to find some very high quality people disclosing their interests. 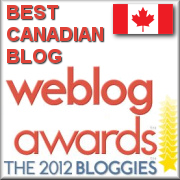 That is one reason why I can note that as I write, CA has become number two for the moment in Weblog popularity stakes.